We’ll be there to fix your faulty garage door! 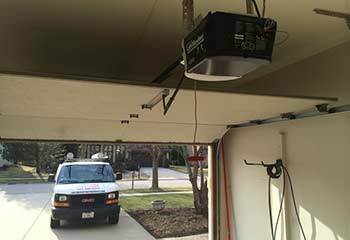 Our extensive knowledge and experience will ensure that your broken garage door or opener is fixed efficiently and professionally. These are just a few of the latest repair projects we’ve completed. Customer Issue: Sensors not aligned. Our Solution: We investigated and determined the problem was the sensors had been knocked out of place and were unable to get a proper read. After realigning them and making sure no cords were damaged, the door was back in order. 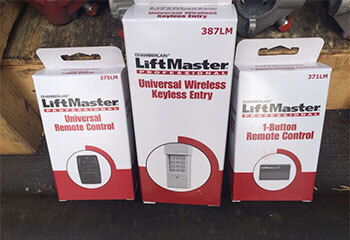 Our Solution: We determined that the Chamberlain IELPD512PET opener's remote control had sustained damage to the sensor, which is why it was no longer working correctly. We replaced the remote control with a new one to easily solve the issue. 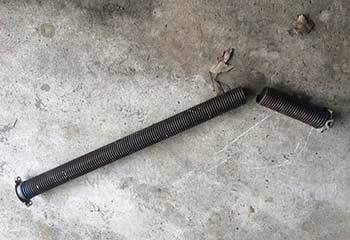 Customer Issue: Rupert couldn’t open his garage door, even though the motor was working as usual. 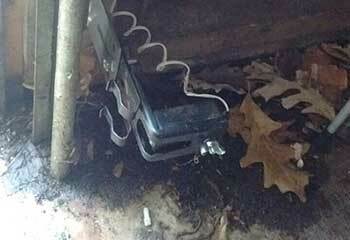 Our Solution: Our check revealed the left extension spring was broken, but the cable and pulley were intact. We replaced the spring with a matching one. Customer Issue: The motor was running as usual, but the opener didn’t lift the door. Our Solution: Our check revealed the Craftsman 54915 1/2 HP belt drive opener had a snapped belt and we replaced it. 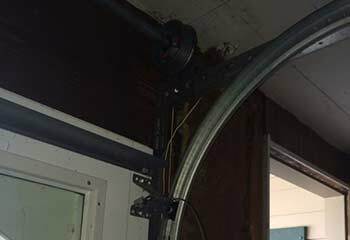 Customer Issue: The track was broken and prevented the garage door from closing fully. Our Solution: We unscrewed the broken track and packed it to dispose of it safely. Then we installed a new track with the same specs and adjusted it accurately.